Check out my 3 favorite motivational books that I have in my personal development library. Year of Yes by Shonda Rhimes, You are a Badass by Jen Sincero, and How to Journal and Make Sh*t Happen by Kat Loterzo. 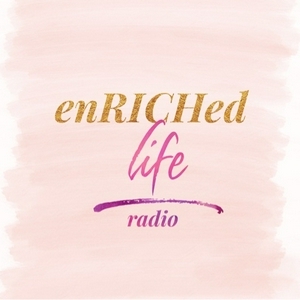 Welcome to the first episode of enRICHed life radio! I'm your host Steph Thorne • Positive affirmation • Why we created this station and especially this Self Care Sunday series • Here's a little bit about myself... • Step away from the noise • Work your goals at your own pace, and stop comparing yourself to others • Learn how to say "no" • Start and end the day with positive words • Consume personal development material • Thank you for listening to enRICHed life radio! Until next time, take care.